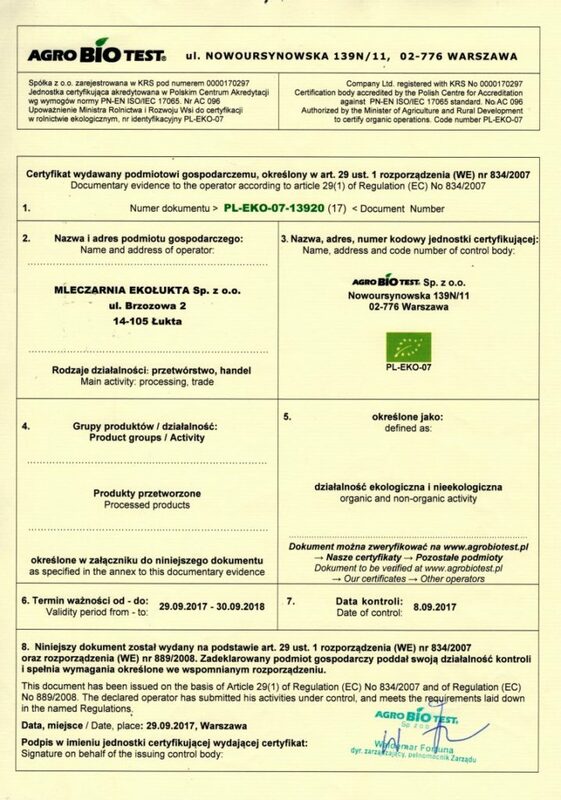 We are a small dairy company located in the heart of Masuria, in the small town of Łukta between Olsztyn and Ostróda. We have been manufacturing organic dairy products since 2008. Our production is made in a traditional way, and many activities in our factory are done manually, without the use of machines. Environment-friendly methods of production combined with the raw materials of the highest quality obtained from ecological, regional crops and farms create the uniqueness of our cheeses, yoghurts and quark. 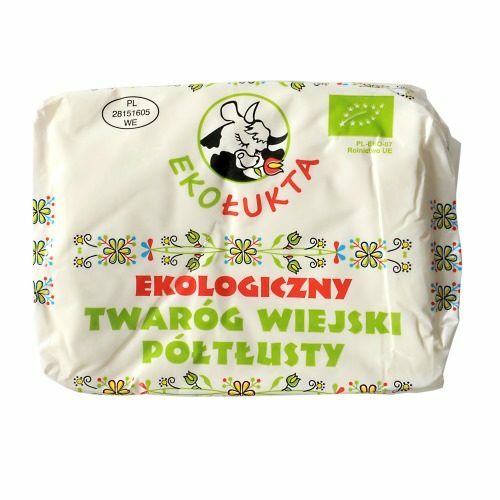 In dairy products of the EkoLukta brand you will find natural ingredients not contaminated with chemical additives, aromas which will transfer you to Masurian meadows, and above all, unique taste qualities. 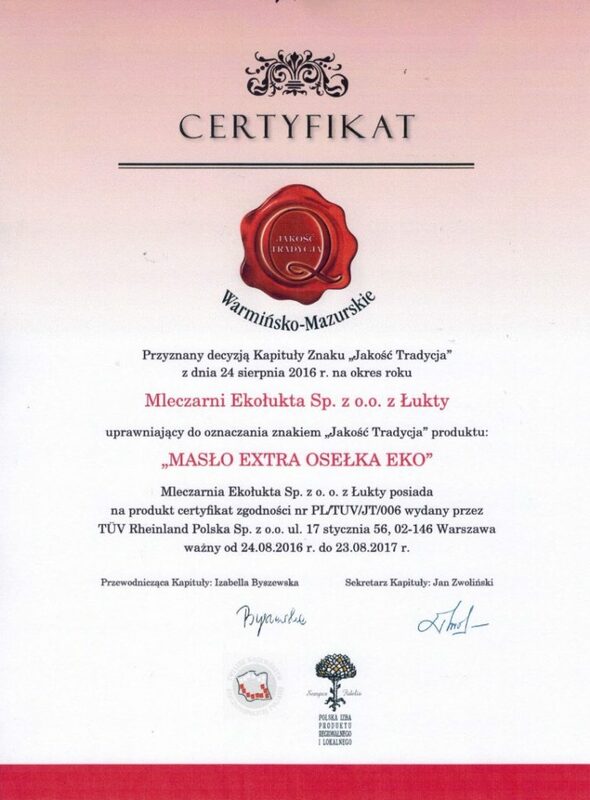 The highest quality and full safety of the products we offer are confirmed by our eco-certificates. We invite you to try our cheeses, yoghurts and quark. We invite you to Masuria! 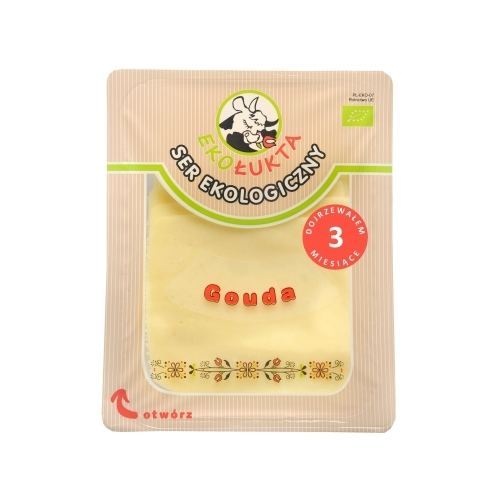 Gouda ECO cheese ripening for 3 months. For real cheese fans! 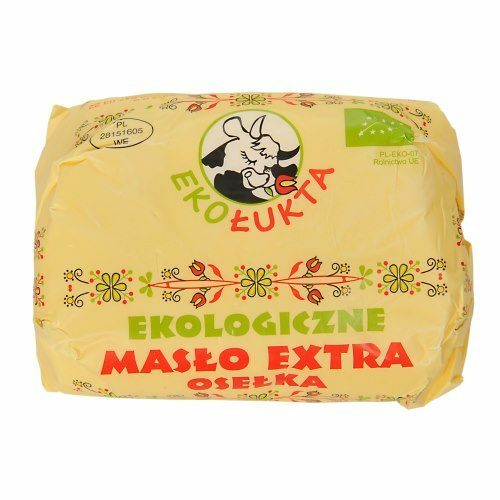 Mazurski ECO cheese made with the use of microbiological rennet so it can be eaten by vegetarians!